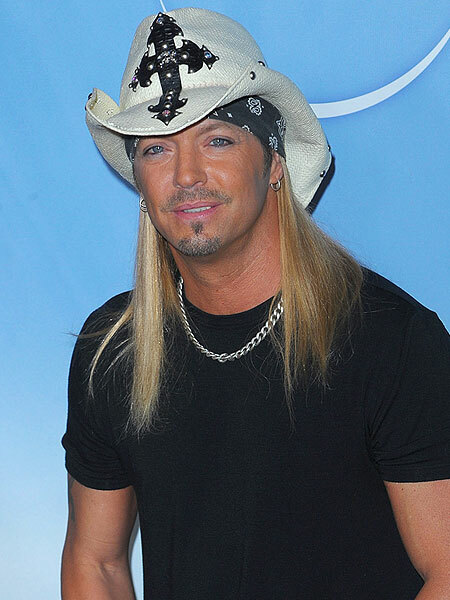 As of this morning, Bret Michaels remains in ICU under 24-hour watch after suffering from a massive brain hemorrhage on April 22. A source close to the singer tells People magazine that the headache which prompted him to call for an ambulance felt "like getting hit in the head with a baseball bat over and over again." This type of severe headache is referred to by doctors as a "thunderclap headache" and is a sure sign of the type of brain hemorrhage that Michaels has suffered. A statement released on Bret's Facebook on Monday says, "Further testing this week will help locate the source of the bleeding. Look for an official medical report from doctors this week at BretMichaels.com." During Sunday's episode of "Celebrity Apprentice," in which Michaels is a contestant, they closed the show with footage of him and a voiceover that said, "Everyone here at NBC wishes Bret Michaels a speedy recovery." Read tweets for Bret Michaels from the "Celebrity Apprentice" cast.